Born October 9, 2008, the male Portuguese Water Dog known as "Bo" has gained prominence in the last couple of years as not only President Obama's dog-in-residence, but also as a prominent character in a comic book- as well as the dog, folks love to "pin" on Pinterest. 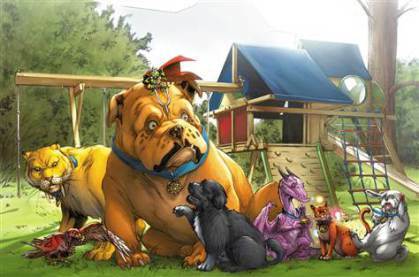 In the fourth issue of Marvel Comics' "Lockjaw and the Pet Avengers," the presidential pet was featured as a Super Hero of sorts. Paired with the dynamic team of super-powered beasties, Bo joins Lockjaw, the massive bull-dog with the ability to teleport anywhere in the universe. And if that wasn't enough of a spotlight for the first pooch, according to CNN's 'politicalticker,' correspondent Gregory Wallace noted that if anyone was "lacking for photos of Bo. . . (they are now) in luck." 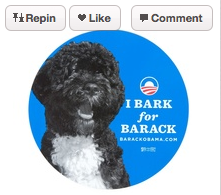 The president's re-election effort has joined Pinterest, and the first dog is among several canines pinned to their "Pet Lovers for Obama" section, which as of this posting has attracted over 25,000 followers. In a tongue-and-cheek op-ed, Ben Greenman from the NY Times assumed the role of "Bo" in an article titled, "The First Hundred (Dog) Days" and was quoted as saying that he was "finding ways to make this nation, and this planet, a better place for our children and our children's children." 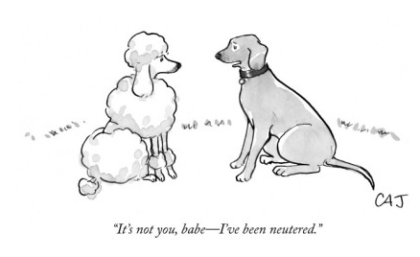 However, while being widely popular in comics and on Pinterest, Bo was quick to point out he was only "speaking metaphorically" since his masters had chosen to have him neutered. Guess that Portuguese Water Dog is not the top dog in all respects!! !